There are spoilers for Avengers: Infinity War in this. Obviously. Listen, these movies are stressful. These heroes are asked to do a lot of things, and sometimes, much of the time, they mess up. Now they’re not all Tony Stark, the ultimate screw up of the MCU, but in Infinity War, there’s more than one of them. And strangely enough, not Tony! Maybe he’s saving it up for the next movie. Here’s an explanation and look into the characters who I think made bad decisions or added to the overall tragic end. This in no particular order. I mention suicide a few times in this so trigger warning for talk of that. 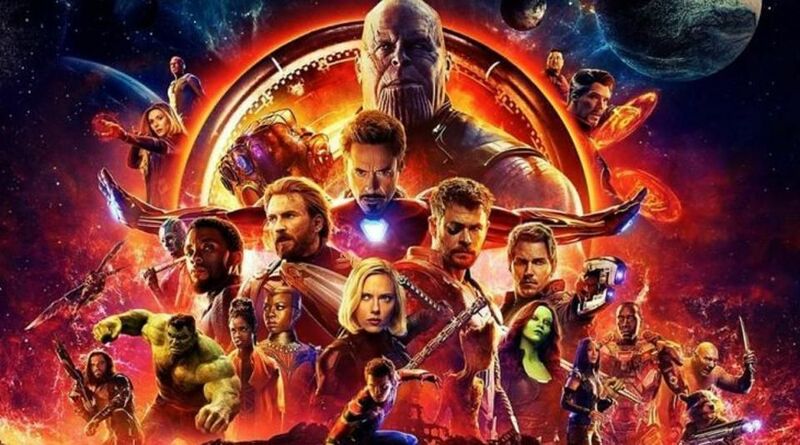 I apologize, I never ever would recommend that course of action in reality, but this is a movie where several people talk about doing it to stop Thanos. Also I realize that almost every person on this list is dead now, so they kind of paid for their mistakes, didn’t they? Along with half the universe. I also want to mention that all of these were completely in character, which I respect. They didn’t have to force a character to act differently just to fulfill plot. But people made some mistakes and I’m holding them accountable. This is a very simple one. Head shots, Lord of Thunder. I understand you probably wanted him to die slowly so you could remind him of your reason for revenge, and I definitely think you deserved your revenge considering what he did. But we were there to stop him from destroying the universe. You could have at least cut his arm off and then bashed his head in. You knew that his hand and the gauntlet were the vital details. You wasted all that time of us watching you make an axe and you didn’t even manage to kill him with it! Stephen Strange ended up finding the one way to win and he was willing to do the unthinkable to make it happen. We will no doubt see how his intentional giving of the Time Stone helps save the day somehow. BUT. Tony Stark was right (who am I, when did I become a person who agrees with Tony Stark). With the importance of the Time Stone, if they were not willing to destroy it, they should have removed it from the picture altogether. Strange was more than capable of finding a place to hide or just keeping away from Thanos’ children as the others tried to use the time he was buying them to find a solution. Strange should have sidelined himself immediately instead of jumping straight into combat. Maybe once he went over the solutions he still would have seen the only way to win was handing it over, but a lot of things went into motion because he was too arrogant to step aside. If your solemn oath is to protect the Time Stone, babe, you get the hell out of danger and away from the people trying to take it. You don’t throw yourself into their path. They almost had the gauntlet off. You claimed it was your plan. You just needed a few more seconds, as Stark pointed out to you. And considering Tony was the last person to make horrible decisions based on moments of grief, you probably should have listened to him (seriously why am I saying so many good things about him what has happened to me). The second that gauntlet was off you could have killed him in revenge! Or at least tried. Instead your ridiculous attempt at hitting Thanos probably cost half the universe their lives, so. I’m not saying it’s out of character to do something that impulsive and stupid, but it is a major screw up. Your grief overwhelmed you, but it still led to disaster and that’s partly on you, Mr. Lord. I feel bad saying this about her because she’s been through so much and I love her a great deal. And the last thing I wanted was her to die. But the reality is, she’s responsible for him getting the Soul Stone, and we just have to accept that. Not because of him killing her to get it, but because she knew the knowledge in her mind was too important for him to get. She even asked Quill to murder her. But wow did she give Thanos what he wanted very quickly after what, ten seconds of Nebula torture? Nebula wouldn’t have wanted you to do that, Gamora. You told someone who loved you to kill you, that’s asking a lot of them, but you’re not willing to let Nebula BY HER OWN CHOICE die to spite Thanos? Also ten seconds is so fast, you barely put up a fight. Also, here I am with the suicide talk, I’m sorry, but Gamora did try to stab herself once she got to the planet and realized he was about to win. How about before that? There were a ton of ways you could’ve done it before they got to that moment. You claimed you would do anything to keep him from getting it, but then didn’t do two things that would’ve for sure kept it from happening. This should not be a shock to anyone watching the movie, but Wanda refusing to do it until the last second was why it happened. And I know it’s a lot to ask of someone, to kill the person they love, especially Wanda who has literally lost her entire family at this point. It’s not that I don’t sympathize with where she’s coming from. I love Steve Rogers but he was basically like Bucky matters more than all y’all in Civil War and that was understandable but not advisable too. The fact she had to do it is very, very cruel, and I get that she was hoping for some last second save, since they always managed to win in the end. But the fact remains that Vision was willing to sacrifice himself to save everyone, and he offered several times, and he was right to. She waited so long that she had to hold Thanos off while killing Vision at the same time, and she had no way of knowing that he could rewind time, but it doesn’t matter. Steve probably would have allowed Vision the choice to sacrifice himself, but it was Wanda’s insistence that drove the story. I get it, girl, he’s a sweetheart and he didn’t deserve to die, but neither did half the universe. On Vision’s part, offering is nice and all, but you could have removed this decision from her hands by getting rid of yourself earlier. Once you died, there would be nothing to stop them from using the stone. I get there would be some possible danger in removing the stone, but what if he was decapitated or shut down in a different way? Sorry, but you two were also responsible for what happened. Hi, Loki is basically the most responsible person in all of this. Guess who made a deal with Thanos in the first place so he could take over Earth? Guess who put Earth on Thanos’ radar? Guess whose own villainy and selfishness led to countless disasters? And if he left the stone on Asgard where it could have very well been destroyed by Ragnarok, instead of selfishly take power himself, that also could have solved the entire problem. Also let’s talk about how he exiled his father to Earth and was supposed to be ruling Asgard. Asgard was supposed to be protecting the dwarves. Heimdall was exiled too which meant that he would have for sure seen Thanos getting his gauntlet and causing havoc there. He pays attention to these things! But Loki replaced him with an idiot and squandered all the power of Asgard on making statues and plays about himself. He was the starting point of a lot of what happened here, and while he tried to save Thor and attack Thanos in the end, it doesn’t change that if he had been a different person and not the fuckboi he is, a lot of what happened in the MCU wouldn’t have happened. Which of course is why he is, so they can cause so many things to happen plot-wise, but I’m still not letting him off the hook. I hope your daddy issues were worth it, Loki. Do not RIP. Posted in Deeper Thoughts, Movies and tagged with avengers, avengers: infinity war, gamora, loki, mavel, mcu, peter quill, stephen strange, thor, vision, wanda maximoff, you are all idiots.